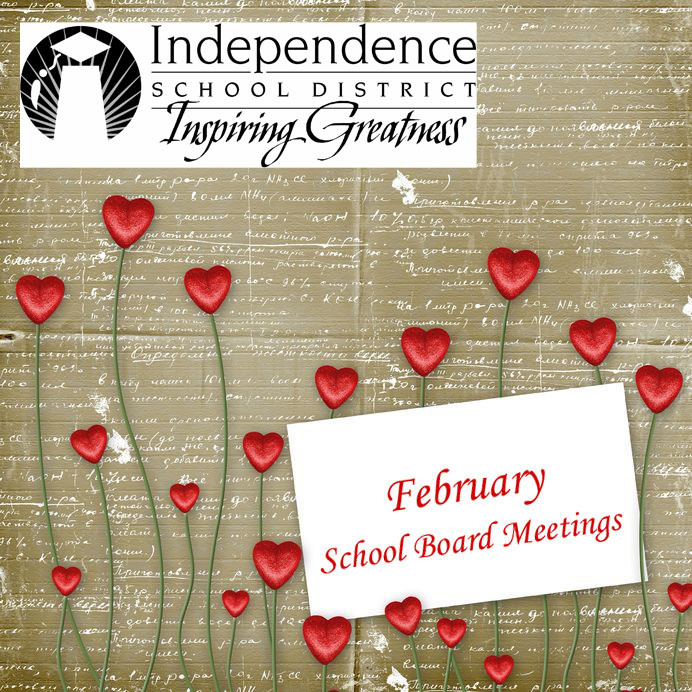 The Independence School District’s Board of Education met Tuesday, Feb. 14, at 6 p.m. In addition to routine items on the agenda such as paying bills and overseeing personnel changes, the board heard a report from Superintendent Jim Hinson. Also, they had a full schedule of new business. Among other items on the consent agenda, the board considered leasing district property on M-78 Highway for use as a fiber optic repeater node facility. Significant new business included reviewing district policy changes and hearing an update on projects funded by voter-approved school bonds. The Board of Education meeting, which was open to the public, took place at the Central Office; 201 N. Forest Ave.; Independence, MO 64050.